I have heard a lot of people say – “ooh, stocks are too risky” or maybe something “I don’t have the appetite for a risk of that kind”. 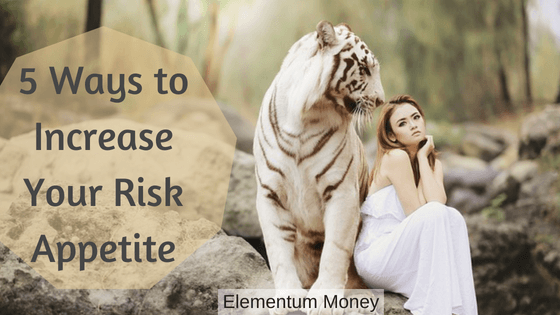 What exactly is a risk when it comes to investing? 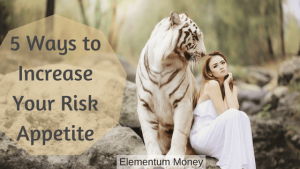 Risk is the ability to invest money with the objective of growing it to meet your financial goals, with the trade-off of the possibility of losing money. It is extremely important to take a risk in investing if you are looking to beat inflation over the years. You might have heard or read earlier that the assets you invest in, often depend on your risk appetite or your risk-taking ability. However, we often mistakenly assume that a person is born with the said risk-taking ability that is a constant in his/her life. Most investments should be made with a goal in mind. So, if at the age of 30, you want to build a portfolio for your retirement at age 60, for at least 23-25 years your risk tolerance should technically be quite high. The longer the time for which you can stay invested, higher the probability of your investment curve smoothening and showing good returns. Sit down today and try to imagine big expenses that you could have in the future. Start investing now and the risk is bound to be lower. Most so-called risky investments are mired by a problem of short-term volatility and long-term returns. While you can try and plan for the long-term, in the short-term it is wiser to not be swayed by the volatility. Two major actions that you can look to take – 1. Do not follow the financial media for their job is to strike fear and increase trading. 2. Do not track the price of your asset daily obsessively. You don’t do that with illiquid assets like real estate. Why should liquid assets like stocks or mutual funds be any different? Some big expenses often come in the guise of financial emergencies – be it a medical condition or a car accident. Take the steps today to protect your existing assets like car, health, breadwinners’ earning ability, property etc. You are then trying to foresee and take action for any possible emergencies for which you otherwise might be forced to sell an asset at a possibly unfavorable time. One of the things I have often repeated on this blog – investing is something that requires self-education. Read, learn and then invest so that you can understand which fluctuations to sit up and take action against and which ones to look at as a favorable sign to buy more of the asset. If even after educating yourself, you feel you do not have the expertise or the time required to commit to the task, then you are probably right. In that case, it might be best to take professional help.